What an enjoyable read! I expected to like these tales from Ireland. What I didn’t expect was the sheer delight I felt reading them. They are so well written that you can hear the soft Irish brogue of the narrator; and, it’s never over the top... or under, for that matter. Lovely imagery, funny stories, sad and touching stories, it was a pure pleasure to read through. This is one I’ll keep on my Kindle for those times when I want something to read to make me smile. 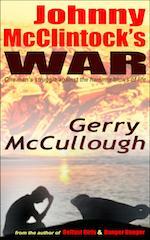 Gerry McCullough is a most talented writer who brought a warm, gentle, humorous Ireland to life for me. Loved this collection! 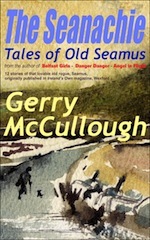 Narrated by his friend, Jamie, this first collection of Gerry McCullough’s, &rlsquo;Tales of Old Seamus,’ will have you reading hungrily right to the end. Readers of ‘Ireland’s Own’ have been able to enjoy these stories for several years - but now they are available to everyone. Each story features a different reminiscence from Seamus - the Seanachie in question - and the reader can sample just one at a time, or devour the whole collection in one go. A ‘lovable rogue,’ Seamus is an unusual character, with his own eccentric view of what’s right and what's wrong - poaching, for instance, is all in a day’s work to Seamus. At the same time he is sensitive to those in trouble - or troubled by others - with often the offer of wise advice or even, when he deems it necessary, direct intervention. The scheming, pushy and unsympathetic get their come-uppence, while the weak and those at wit’s end find that things amazingly turn around after all - sometimes with Divine aid, other times a little human help behind the scenes! Something very right and pleasing about this - and I think Seamus would agree. Not all of the stories involve Seamus personally tweaking events to achieve the desired outcome, but all give the satisfaction of things having worked out properly in the end. I DO have a favourite - The Cuckoo Clock - simply because of the delightful sense of poetic justice it evokes. Ms McCullough’s evocative characterisation brings these stories to life in a delightful absorbing way. You can’t read just one of them. From a prize pig race to a singing dog and a teacher’s secret you are sure to find something to delight you. The stories explore facets of human nature and experience in a lively way and the Seanachie (storyteller) Seamus O’Hare is a true master of his craft as he spellbinds us. I am currently unable to select a favourite. I have just one complaint about this book and that is that it simply is not long enough. 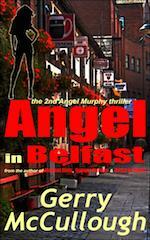 Picture the scene of an old fashioned Irish pub with a peat fire roaring with life. The smoke from the burning peat spilling over anyone close enough. Sitting in the corner in an old chair is The Seanachie - storyteller. Maybe a clay pipe in his hand but definitely a drink in the other. 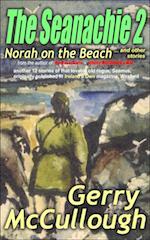 So sets the scene in my mind of The Seanachie by Gerry McCullough. This magnificent storyteller has done it again. 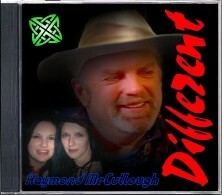 Each individual story has it’s own Gaelic charm, so much so that it’s hard to choose a favourite. 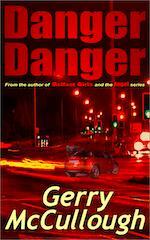 I can thoroughly recommend these lovely stories and happy to give them a five star rating. 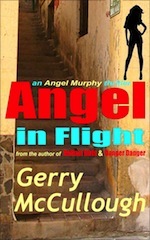 If you’ve never been to Ireland or Northern Ireland, once you read these 12 tales by Northern Irish writer Gerry McCullough, you will want to go. In fact, you will likely want to go to Donegal, find a pub and wait for a seanachie (Irish storyteller) to begin spinning his tales. "Whenever I can," the narrator begins, "I like to spend a week, or even a long weekend, i Ardnakil, the small Donegal village where I used to come to visit my grandparents -- too many years ago. And when I’m there, I take the opportunity to call in on old Seamus O’Hare. Seamus taught me everything I know about fishing, poaching and the countryside." With that, I knew I was in for a very enjoyable experience. Seamus O’Hare may be an irresistible old rogue, but he’s the kind people love to sit and listen to for hours on end whenever the opportunity presents itself. I’ll be looking old Seamus up from now on. 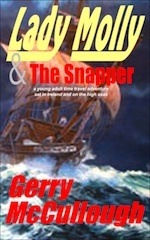 I hope Gerry McCullough has another collection of these charming tales coming out one of these days. They’re irresistible. I was fortunate to have this wonderful collection with me on my kindle during an extended journey. These heart warming tales are beautifully told with subtle Irish humour and I'd have to say the race of the two fat piggies is my current favourite. It was very easy to conjure up images of the mischievous Old Seamus, who's heart is always in the right place, as he related his many adventures.In fact all of the characters mentioned had something about them that made you want to read on. A delightful read, definitely recommended.